Woot woot! It’s book day!! April is the final month for Erin’s 8.0 Book Challenge, too. 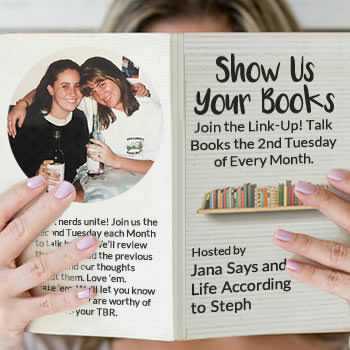 I’m linking up with my favorite book gurus (Steph & Jana) for Show Us Your Books! In his old age, a grandpa looks back with fondness and regret over his relationships with his son and grandson. This entire story destroyed me. I read it in on sitting one a quiet Saturday afternoon. Thank goodness K wasn’t home because I bawled like a baby for the last half. I think that if you’ve ever seen someone close to you slowly (or quickly) age and fade from the person they used to be, this book will move you. This was my first Backman book and I enjoyed his writing and storytelling. I’m definitely going to check out some of his more popular books next. Should you read it? Yes. But brace yourself. In 1659 Bavaria ostracized hangman Jakob Kuisl is tasked with torturing a friend accused of witchcraft and murder… unless he can prove her innocence. With help from his daughter and her suitor, the town’s physician’s son, can Jakob stop the madness before it escalates? This was a long book that felt even longer. (I really rate it 2.5 starts but I round up.) I half wonder if the translation made it drag on so terribly…? Sometimes the plot was repeated, similar to a TV show recaping what had happened before the commercial break. I’m not sure… something just made it feel slow and labored. The story itself was great! I loved the setting and the mystery and murders sent chills down my spine. Don’t even get me started on the devil character. ~eek~ I think the title and cover look a little playful, but be warned there are some torture details and most of the murder victims are orphan kids. Definitely not a light and fluffy tale. I know there are four or five more books in this series but I don’t think I’ll be reading on. Should you read it? No. You can skip this one. Honestly, I think I’ve come to terms with the fact that I won’t be finishing Erin’s challenge this time. When I first started doing her book challenges I was barely reading two books a year. I typically average two or three books a month now so I’m not the least bit upset about not completing the challenges 🙂 I’ll get the next one, though. For some reason I left the +400 page books for the end. Even if I don’t get them done before April’s end, I plan to finish Dead Wake and Renegades. So that’s all I’ve got. 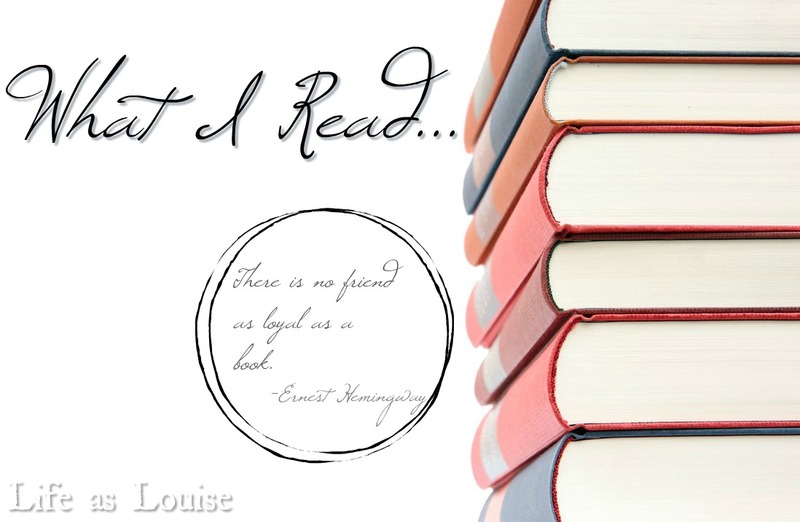 Tell me what you read this month! I have been wanting to read Fredrik Backman – I will have to add that one! That was my first Backman. It was a good one to dip my toes into. I plan to pick up another of his. I am definitely going to read that Frederik Backman. Super quick! Huge tearjerker, though! I am finally back on the voracious reading train after not enjoying anything for the past year! I read Tangerine over the weekend and am halfway through Little Fires Everywhere. I want to check out your recommendations! Yay!! Little Fires Everywhere is on my TBR list but I just added Tangerine thanks to you! 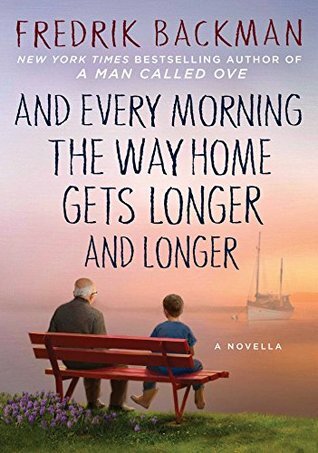 I still haven’t read anything by Backman, but A Man Called Ove is one of my Erin Book Challenge categories. I don’t think I’m going to finish this challenge because I just can’t seem to get excited about my remaining 3 or 4 books. This was my first Backman! I really enjoyed his writing! I didnt even know that was out by Backman. I need to get more of his stuff under me. I was needing a quick read to motivate me and that novella was the perfect size. Read it in an hour. I just love reading and now I totally need to read “And Every Morning the Way Home Gets Longer and Longer” it sounds absolutely amazing. Thanks for sharing! Be warned- definitely a tearjerker. I really loved it, though. Sometimes translations “miss” something, I think. Everyone raves about Backman and I need to pick up something by him. I didn’t even attempt Erin’s reading challenge this time. I’ve realized that as much as I love to read, I want to read what I want to read at any given moment versus feel obligated to read a specific book. But I do love seeing what everyone else reads because I find so many new books and authors from other participants. Going from 2-3 books a year to 2-3 books a month is AMAZING! I think all Backman books are translated, too, right? I really enjoyed his writing style- super easy to read and comprehend. I love Erin’s challenges but I tend to peter-out by the last month. I’m DETERMINED to finish one someday, though! I really do need to read something by Backman. And I love books translated from another language, but yeah, sometimes they can be hit or miss on how much is brought over. It can be confusing at times. That’s awesome you’re reading so much more now! The Backman novella was a good way for me to dip my toes in the water. I really enjoyed his writing, though. I’ll be picking something by him up again. Hahaha- I’m totally gonna bomb that challenge, too!! Ha! I’m interested in that first one, but I also cry at literally everything so I think I would be a wreck! Man… I cry at everything, too. I knew it’d destroy me. At least it’s SHORT and beautiful, lol. I’ve heard so many good things about Fredrik Backman’s books! I’ll have to check that one out! It’s the only one of his that I’ve read (so far!). Definitely a good one. I’m like 200 pages in. I like it buuuuut… *whispers* it feels a little X-Men-y. I don’t know. I need to finish it. People seem to really hate Heartless, lol. I didn’t mind it, but I have low standards for AiW retellings/spinoffs. Is it the twist-at-the-end category? Have you read Three Dark Crowns? That’s what I read for that category and LOVED it. Oh my gosh, that Frederik Bachman books sounds like I would be bawling as well. Total tearjerker. So, so good though. Every Morning sounds depressing but I’m also intrigued and will check it out. I’ve read one Backman book so far (Beartown) and I liked his writing style. My big takeaway was that I like his style, too. I have relatives in the throes of rapid aging and I think that *really* affected me while I was reading. But it’s certainly a tearjerker. Did you change something in your blog? It looks different, but i like it. I will look for this Backman book, thanks! It was a sad one but so beautiful and heartwarming at the same time. Super quick, too! Definitely give Backman another chance! He’s such a good author and his books all really touch you in some way in my opinion. I’ve come to terms with the fact that I won’t finish Erin’s challenge this time around either, but at least we read books right! Oh well, at least we’re reading!! Ha! This was my first time particpating in Erin’s challenge and I don’t think I’m going to finish just because I don’t want to read the 3 books I have left. I have been reading other books instead that don’t fit into the categories. You should read A Man Called Ove next if you liked his other book. I haven’t read the one you read yet but A Man Called Ove is my favorite of his that I’ve read. I have yet to finish one of Erin’s challenges but I just love doing them 😀 I think A Man Called Ove will definitely be my next Backman. I really enjoy his style! Part of me wishes I was a Fredrik fan but the realist in me knows not all authors are for everyone. I think I have to be in the mood to be emotional 😉 I liked his writing style, though, so I’ll give a longer book a try next time I’m in the mood. I’ve never read a Fredrick Backman book even though I’ve continued to hear good things – simply for the fact that I’ve heard they always emotionally hit you. I don’t think I can read the Backman book. Those types of plots really depress me, even if the ending isn’t bad! But I do think he’s a great writer. I read Beartown recently and liked it! Backman’s books are so popular among our little booknerd community but I’ve never read one of them. Maybe some day. I think I’ll have to be in the right place emotionally when I read my next one. Lol. I’m glad this one was quick. I enjoyed Ove. Beartown was good, but I got really bored in parts of it. I haven’t read any of his others, but this one sounds good. I like that it is shorter. Might have to check it out. I read it in an hour or less. I think I’m going to try A Man Called Ove next. I LOVED that novella, but definitely needed tissues nearby! I couldn’t get through A Man Called Ove but I think I’m going to give him another try, maybe with Beartown. 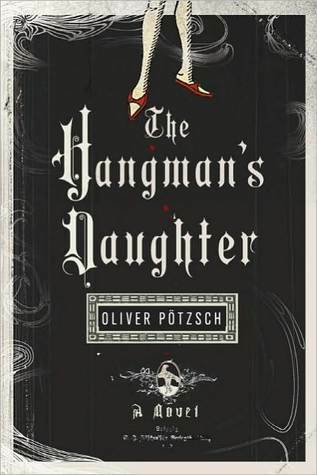 I’m disappointed to hear about The Hangman’s Daughter because it’s currently on my Kindle. I tried reading The Hangman’s Daughter a few years ago, and stopped about half way through. I think I’m going to try A Man Called Ove next. I’ll need to be in the right mood, though. I really wanted to like The Hangman’s Daughter but it was just… Zzzzzzz. Ya know? Four books already is awesome!! People who read 10 or 12 a month don’t even bat an eye at my barely 3. HA. We all have different speeds and distractions 😉 I hope you find an awesome recommendation for book #5! !